Argentinian miniature horse, less than 7 hands high, with a spotted coat color in most animals; a curiosity. Falabellas leadership is guaranteed thanks to a network of 97 outlets located throughout the country, and the popularity of the brand among Chilean women. GLENROE OPEN FARM Oooh and ahhh at the cuteness of falabellas, pigmy goats and sika deer. We also have wakes and weddings, and festivals and feasts; falcons, falabellas and folk dancing - all this alongside ground-breaking science, top-notch horticulture and mouth-watering catering. Falabellas, originally from Argentina, are one of the smallest horse breeds in the world and Middlesbrough's examples are among just a few thousand worldwide. 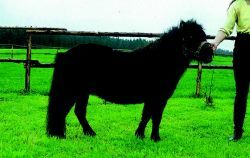 And the animals themselves range from heavy Shire horses to rare Falabellas, which at under 34 inches high, are the only miniature horse breed in the world. There are only a few Falabellas in the world and at the moment he's the smallest. Halle-Bopp is such a big star at 15ins tall! Visitors are being encouraged to name the male foal, which is settling into his new home along with mum Belle and two other Falabellas, Pixie and Starbucks. The spectacular line-up features the internationally acclaimed Ali-Bek Cossack riders of Kazakhstan, classic Spanish horses and Arabian stallions, lusitanos and the world's smallest breed, falabellas. Owner Sean Buckley of Coolwood Wildlife Sanctuary near Killarney, Co Kerry, has been trying to breed Falabellas for some time. Carol, 30, said: "The little horses, derived from Shetland ponies, are called Falabellas. Falabella is listed on the Santiago Stock Exchange and, together with its subsidiaries, operates retail chains in Chile, Argentina, Peru, Colombia, Uruguay, and Brazil.